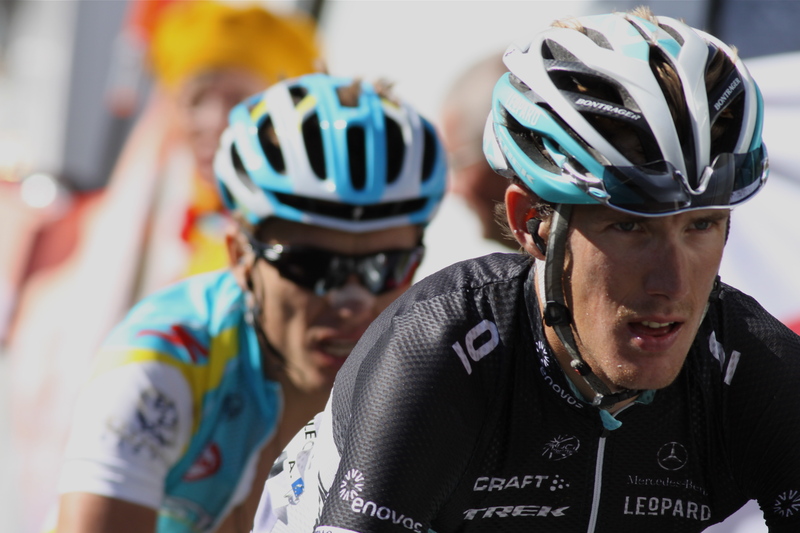 In case you were wondering where the cycling element of this blog was I thought I’d include a few shots from last years Tour de France, taken in the Alps and on the final individual time-trial. 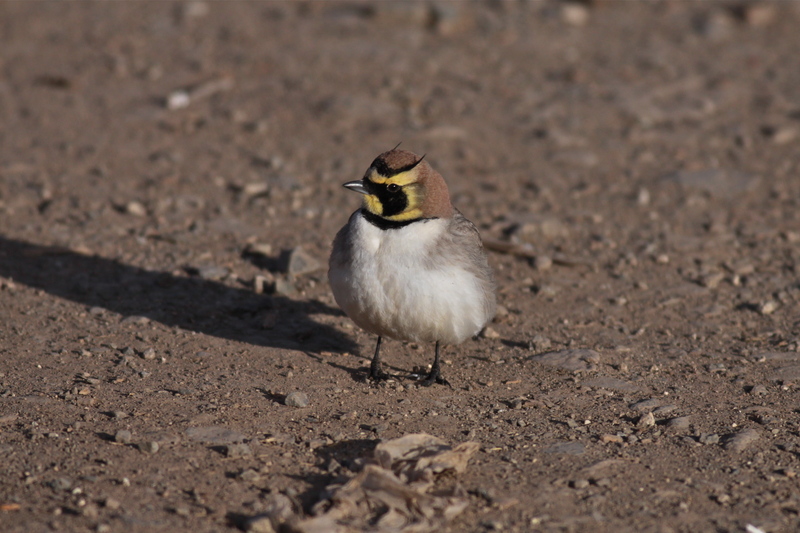 This report, of the recent GPOG trip to the coast, southern desert and High Atlas mountains of Morocco, is intended to compliment that of fellow travellers who have already posted some of our highlights, including Peter Beesley – check out his fabulous photos, and the more comprehensive trip report, currently under construction. 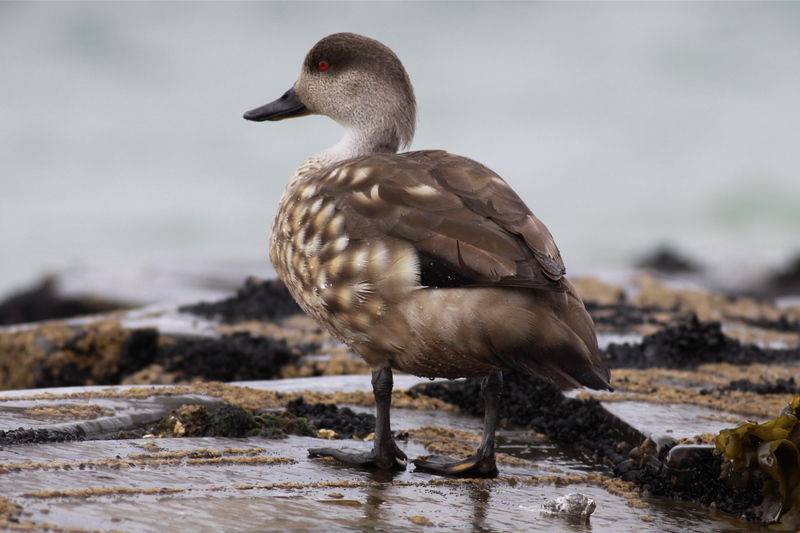 Twelve GPOG (Greater Peterborough Ornithology Group) members, aged 17 to 70+, departed Luton at lunchtime on Sunday 12th Feb., returning on the evening of Friday 17th. 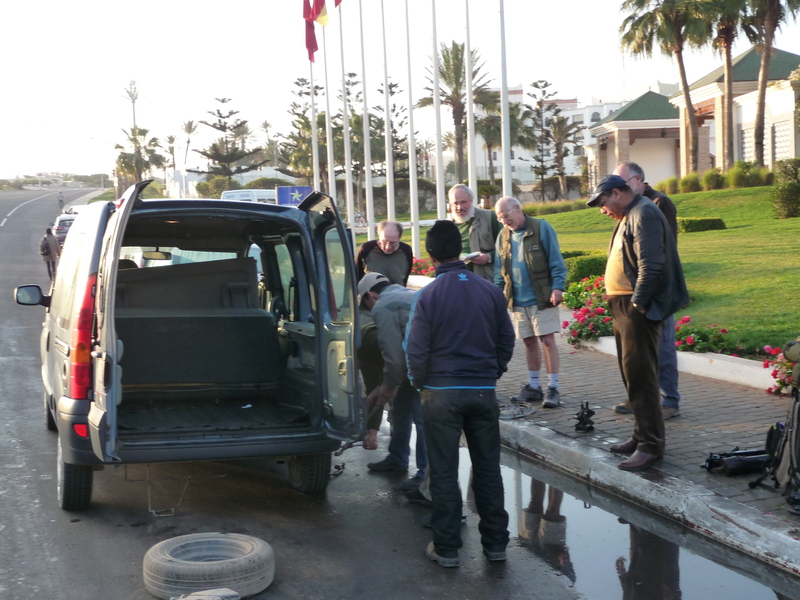 Our trip took us west from Marrakech to Agadir, south to Guelmim, north east to the High Atlas and back to Marrakech, to complete the round trip of 1500 kilometers. In Agadir we stayed three nights at the Iberostar, Founty Beach – good quality and very good value, exploring the coast from Tamri in the north, south to Oued Massa. 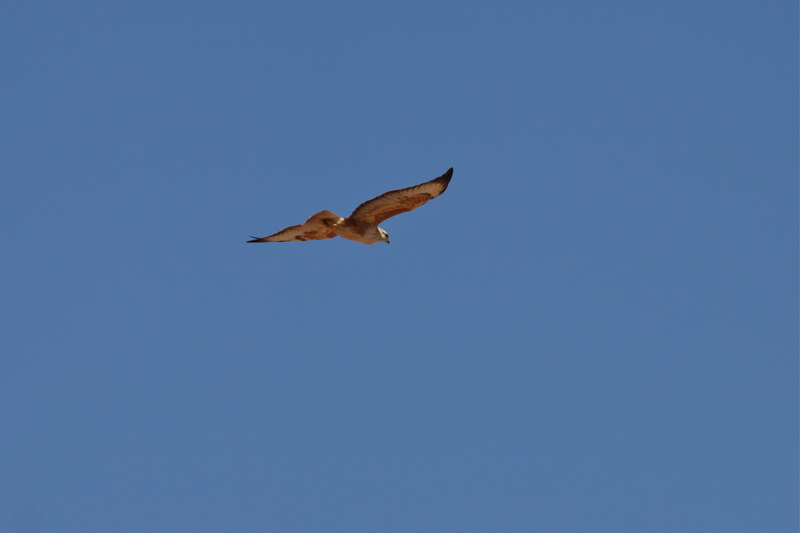 On Wednesday we travelled south to Guelmim, exploring the desert sites to the south and east of the town. We stayed at the new HAM, Hotel Adil Moussafir, on the northern edge of town – good standard (but alcohol free). 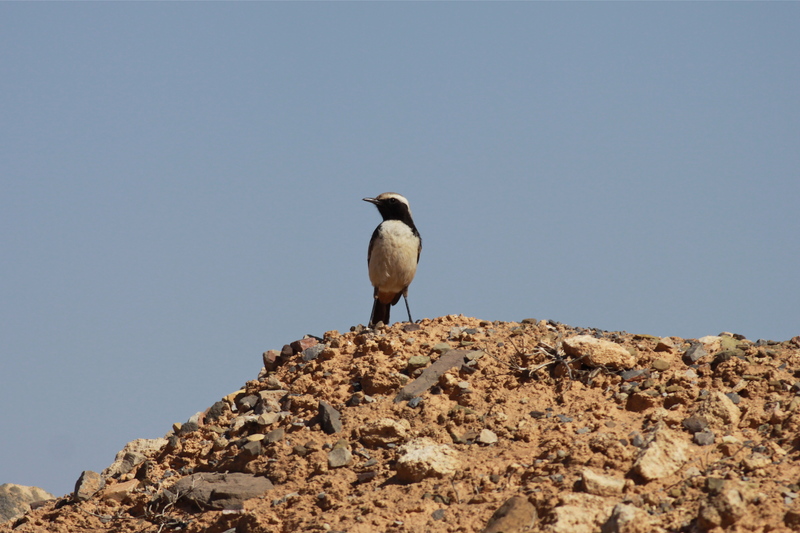 The following day we had an extremely long transfer to the ski resort of Oukaimeden via the Sous valley and the never ending winding mountain road through Tagoundaft and Asni. We stayed at the excellent Hotel Le Courchevel – a really friendly staff, superb food and ‘on your doorstep’ alpine birding – highly recommended. 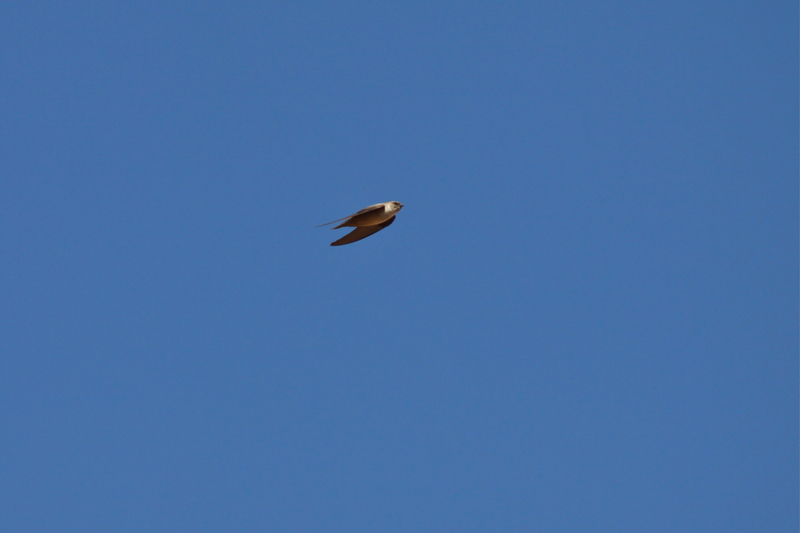 Our last day was spent birding the High Atlas mountains and a gentle run down to the airport. 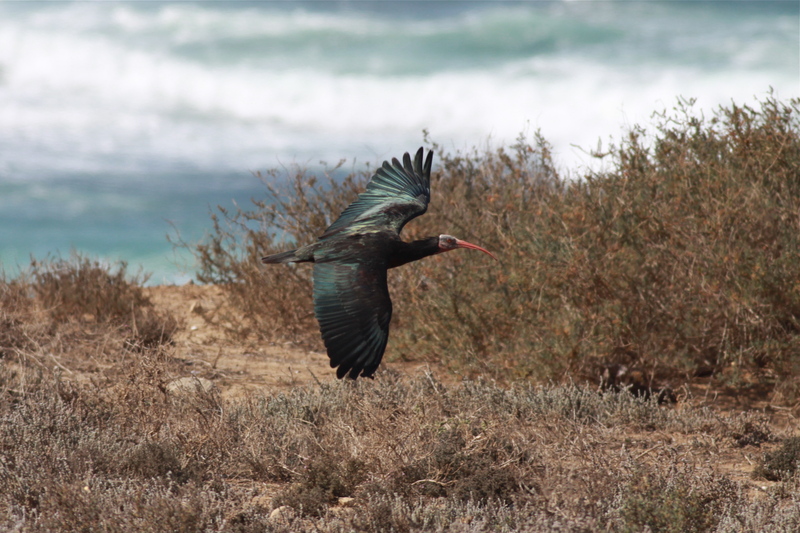 Bald Ibis – rare, strange and accessible – what a great start to our trip! 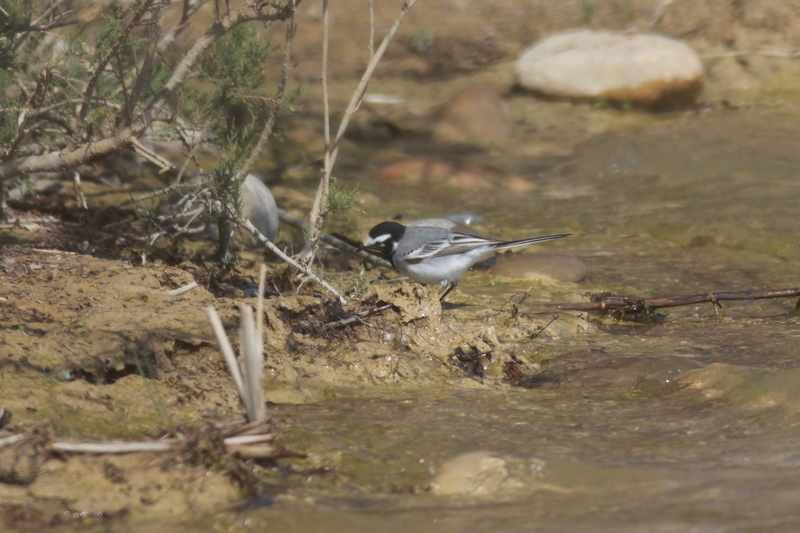 White Wagtail of the distinctive Moroccan sub-species – the only one we saw. How many GPOG members does it take to change a wheel? Answer, none – the friendly taxi drivers did it! 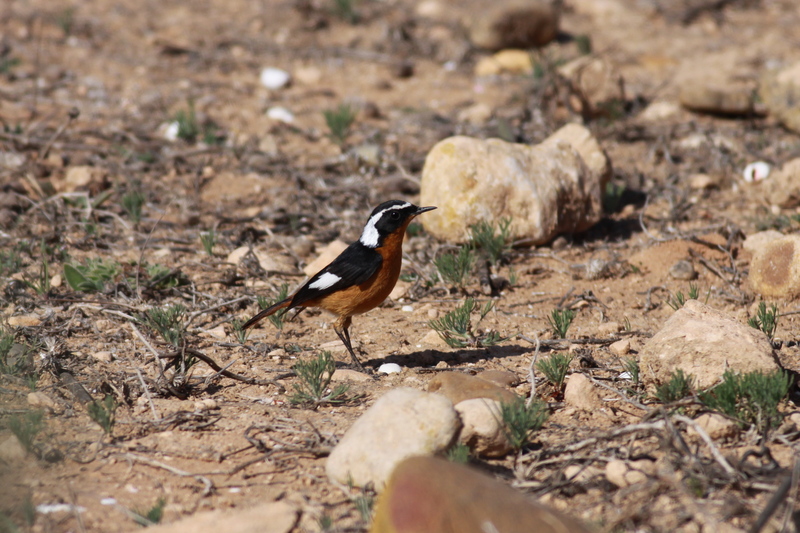 Moussier’s Redstart – when you get tired of looking at these ‘beauties’ it’s time to hang your bins up! 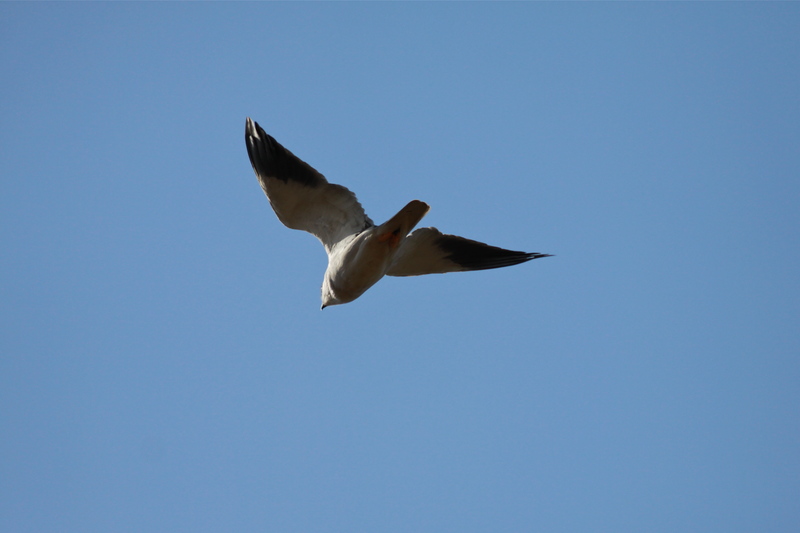 Black-shouldered Kite – too close to focus! 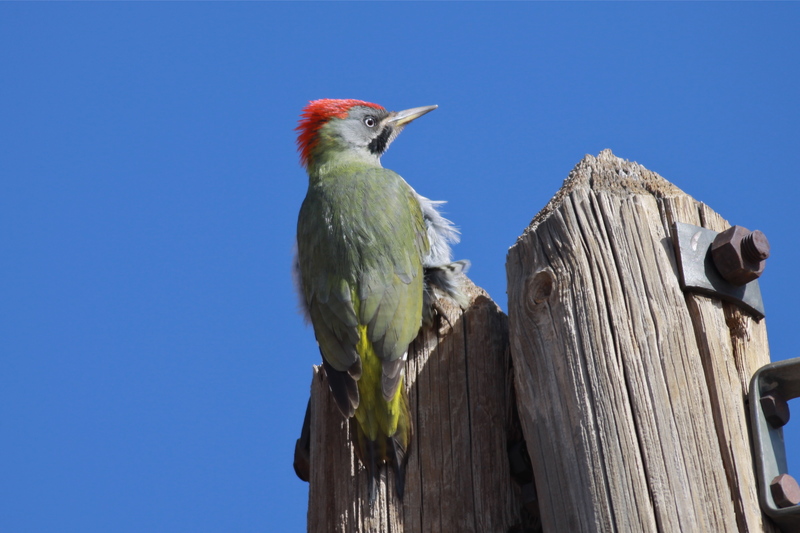 …apart from this little beauty that is – Levaillant’s Green Woodpecker! Generally agreed to be amongst the best of the many GPOG trips, Morocco lived up to it’s promise and I’m pretty sure we’ll be back! 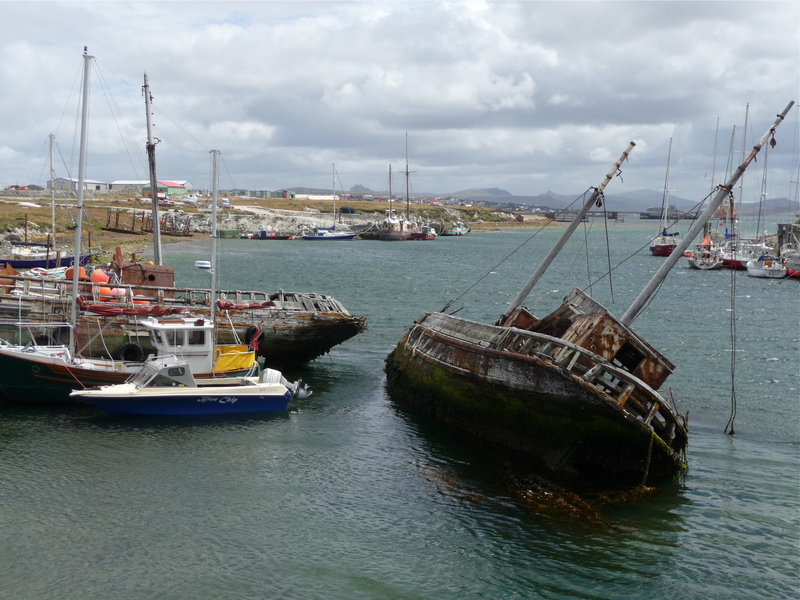 A few photos from a recent trip to the Falkland Islands, kindly facilitated by Interserve. 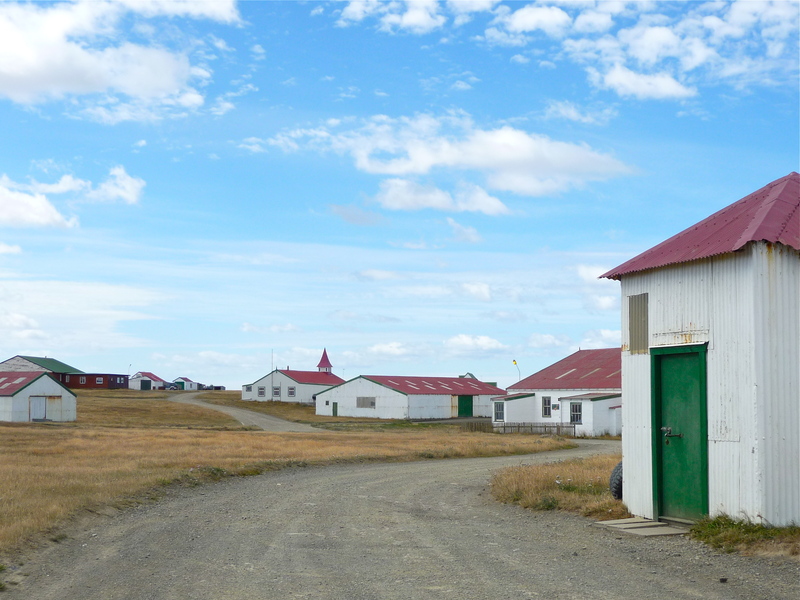 Five days birding, mostly solo, on the main eastern island. Accommodation was on the Mount Pleasant base and transport was a rather old but functional Range Rover. 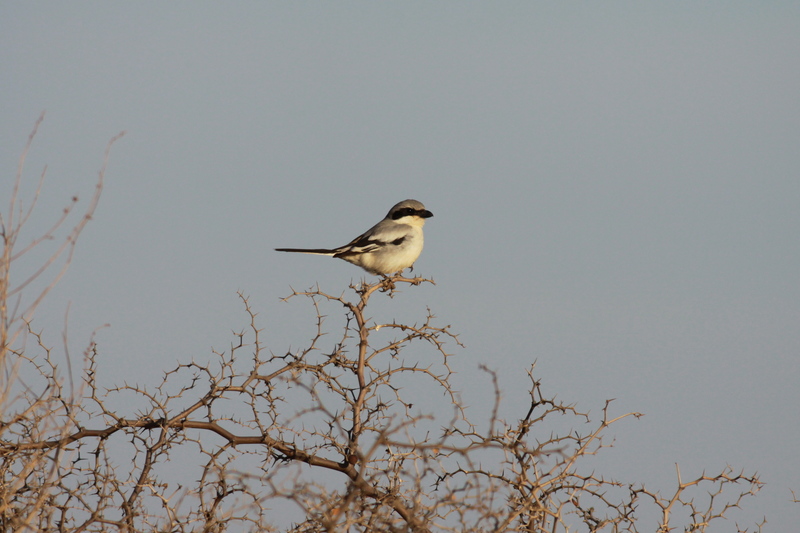 Local birder Alan Henry was very helpful prior to and during my visit, identifying a few of the local ‘hot spots’, making introductions and keeping an eye on a number of local ‘celebrity’ birds for me. 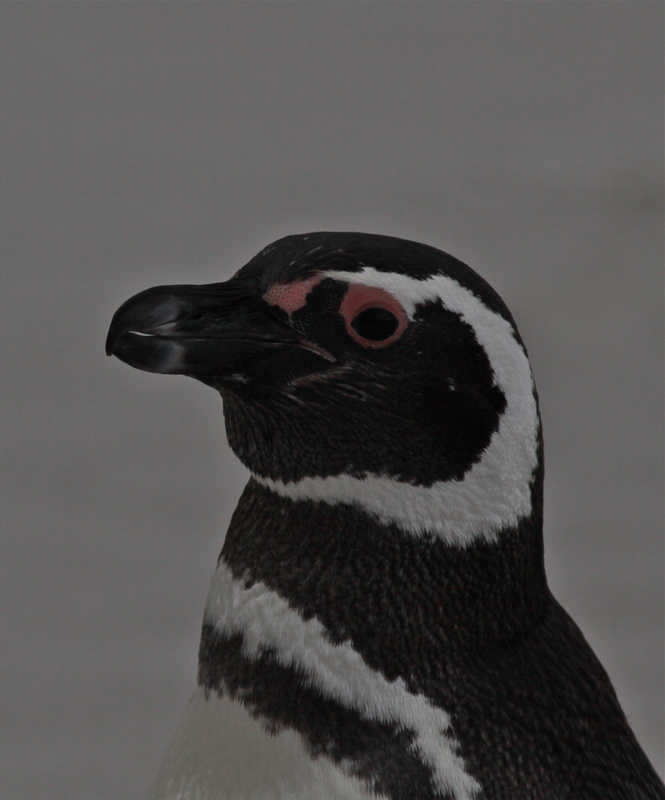 Alan and I also enjoyed a couple of fantastic hours sea watching together at Cape Pembroke! 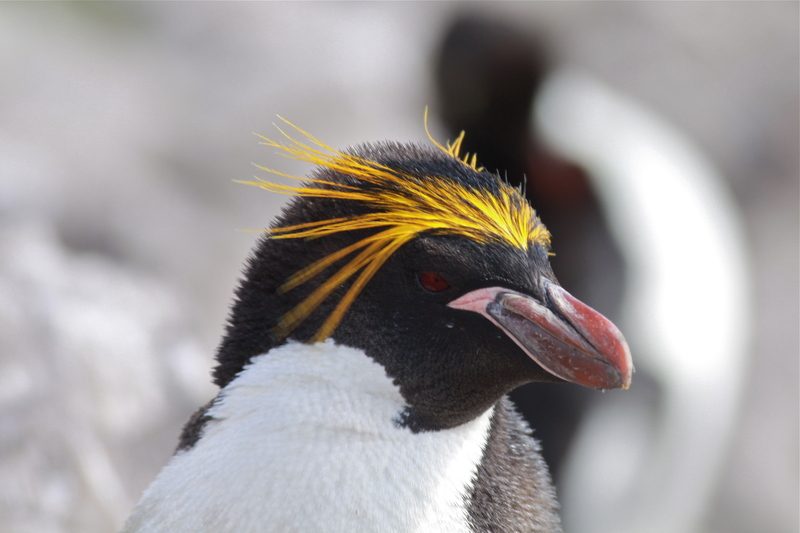 If you are interested in birding in the Falklands, you can meet Alan at this year’s BirdFair. 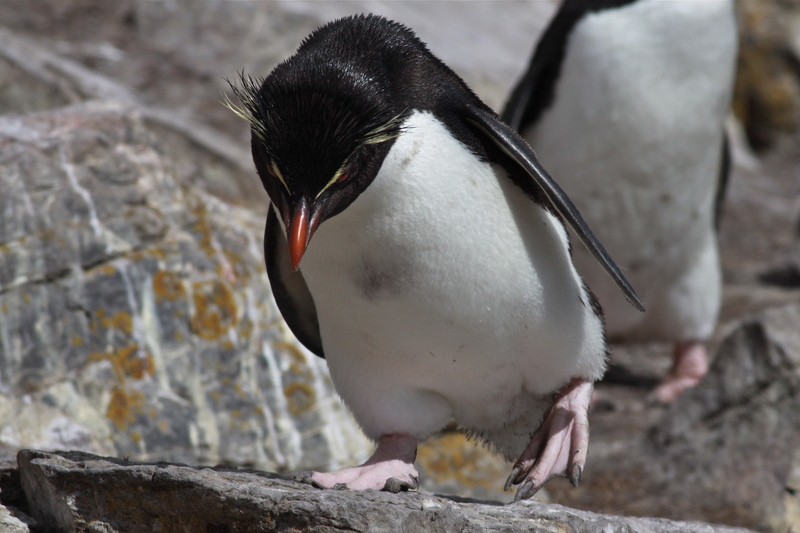 During my visit I saw 52 species, including 13 Lifers and a number of Falklands sub-species. 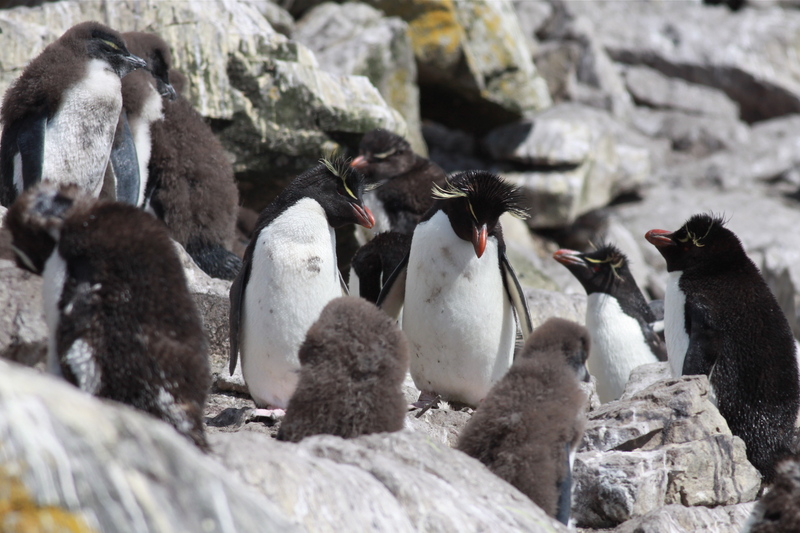 The undoubted highlight of the trip was an intimate experience with all five breeding species of penguins…. 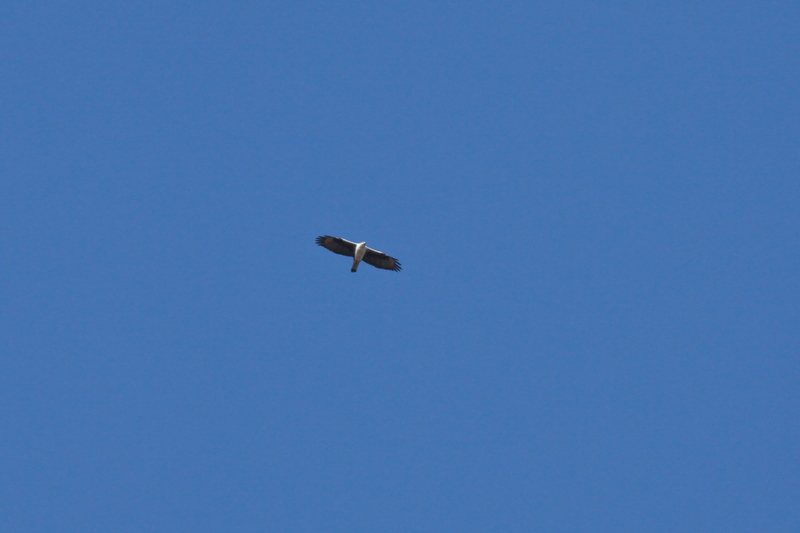 A brief touchdown on Ascension to re-fuel, provided views of Ascension Frigatebird and Common Myna. 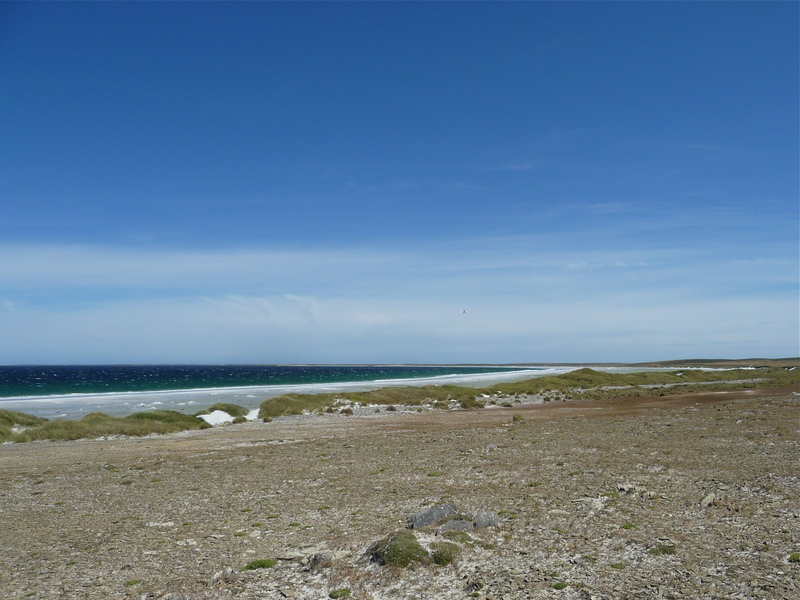 Bertha’s Beach – easily accessible from the base and a good all round introduction to Falklands birding. 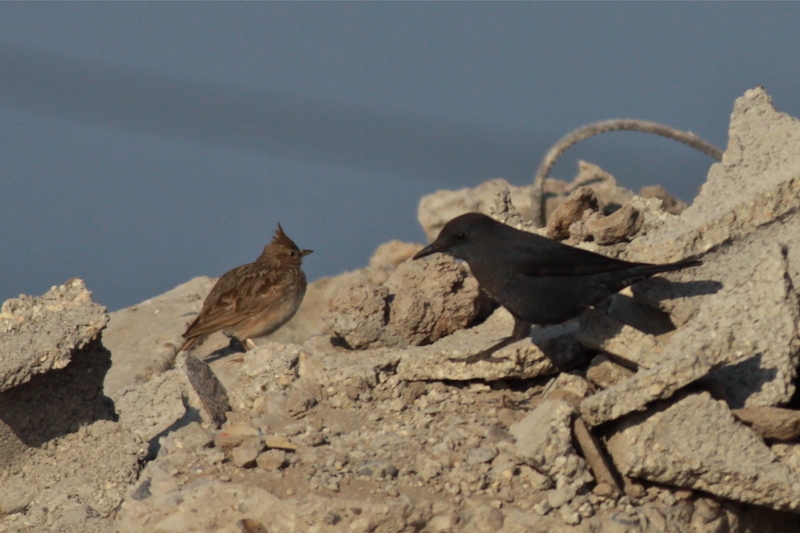 A selection of some of the ‘local’ goodies…. 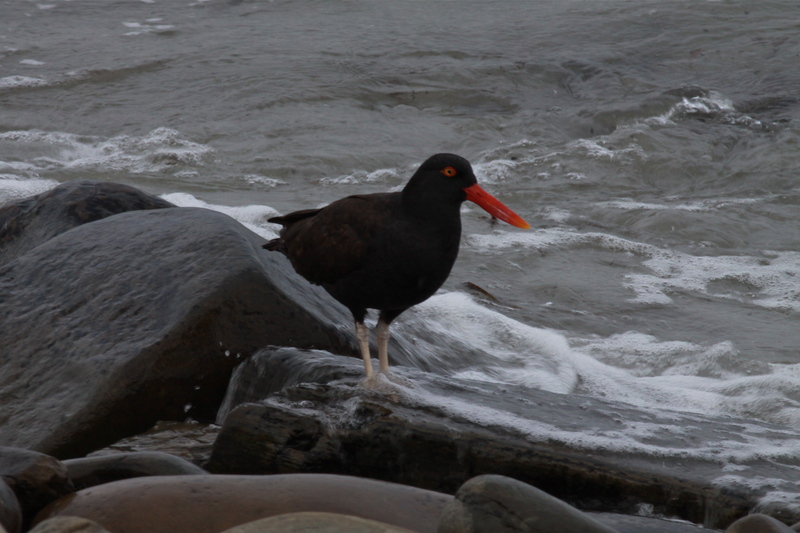 Blackish Oystercatcher – seen previously in Chile, but a nice bird all the same. 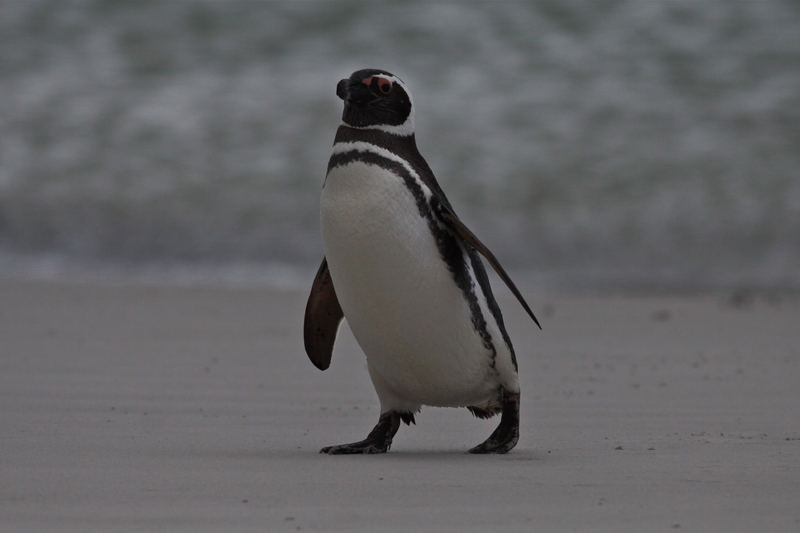 Rather similar to Sooty Oystercatcher in Australia. 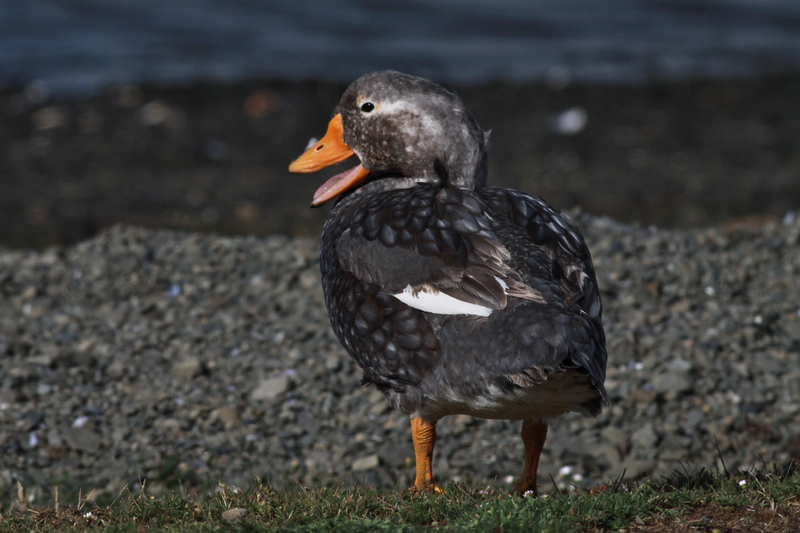 One of two endemics – Falkland Steamer Duck. Known locally as the Logger. With only a handful of regular waders, quality makes up for quantity. 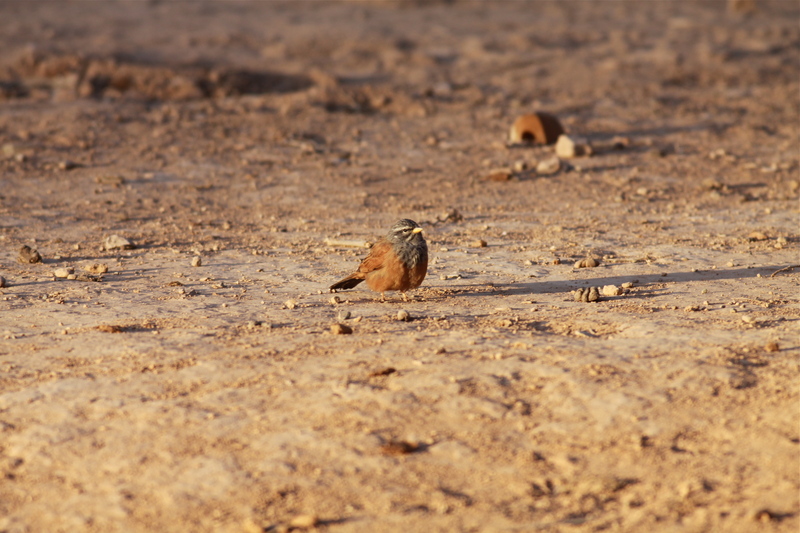 This Two-banded Plover is common and widely distributed. 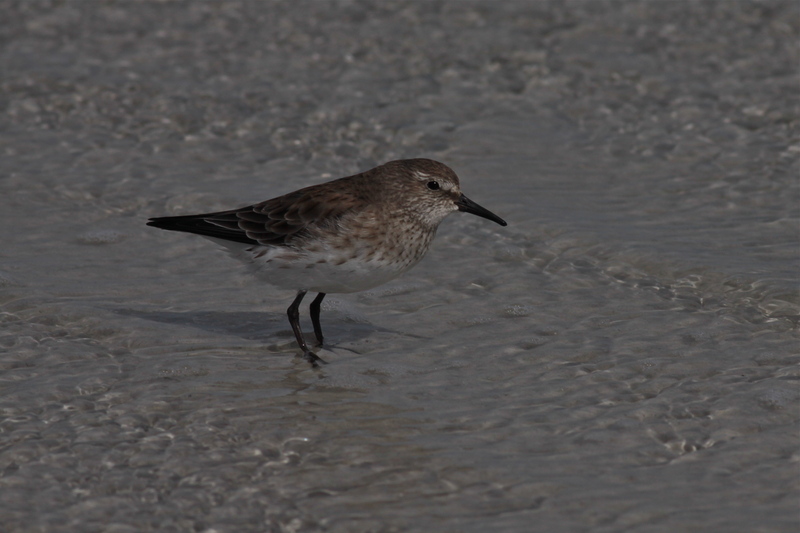 White-rumped Sandpiper. 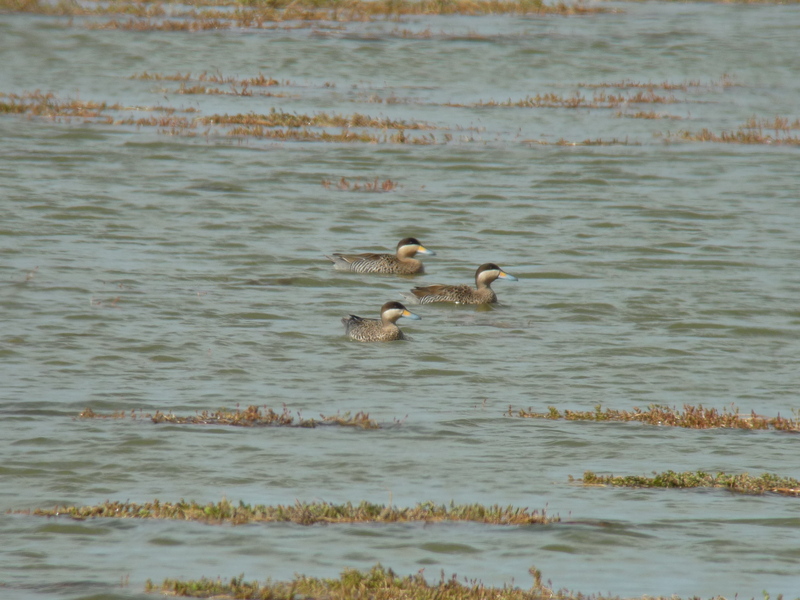 Seen in small numbers along the coast. 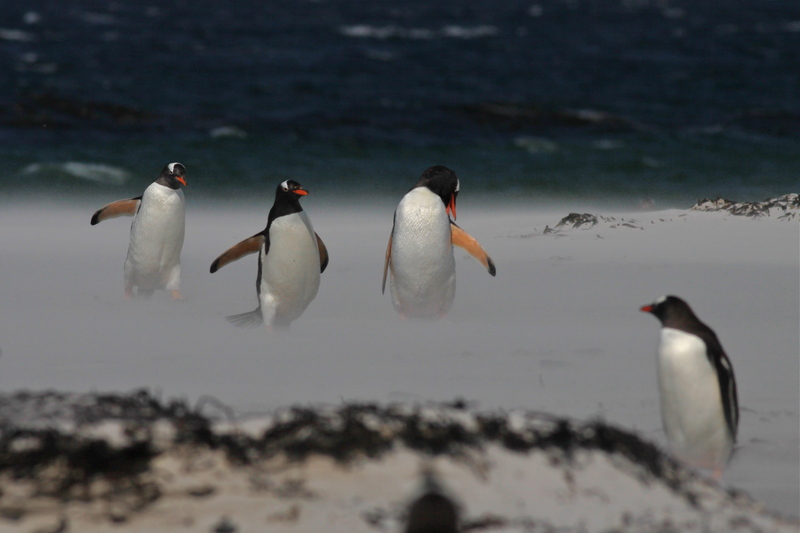 At the end of a very long walk, the prize…..a colony of Gentoo Penguins! 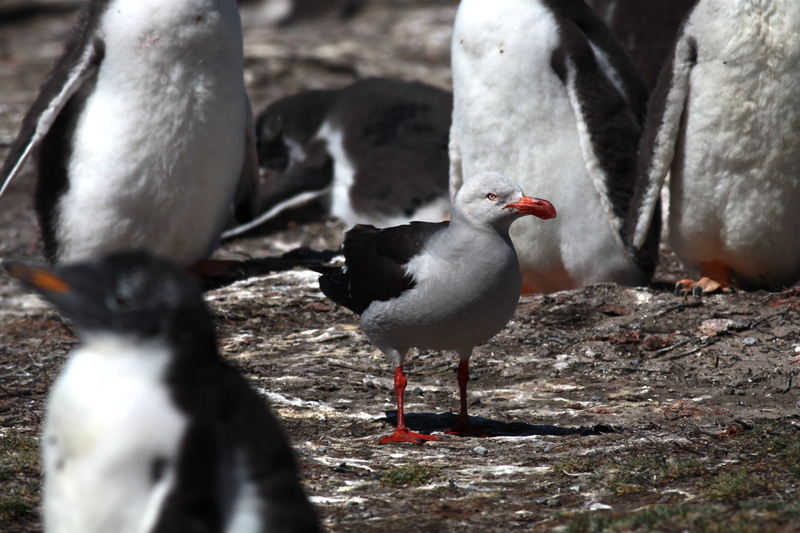 ..and in amongst the Gentoos an exquisite Dolphin Gull! 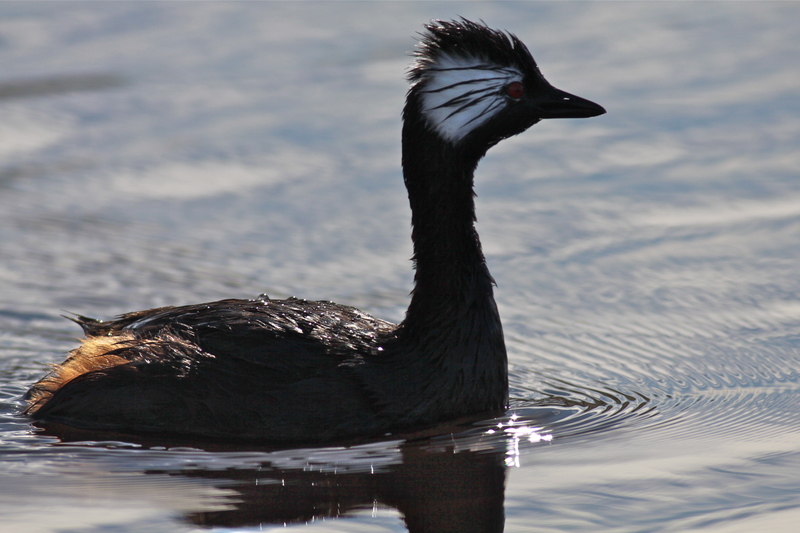 There is a variety of water birds to be found on the inland ‘lochs’, including White-tufted Grebe. 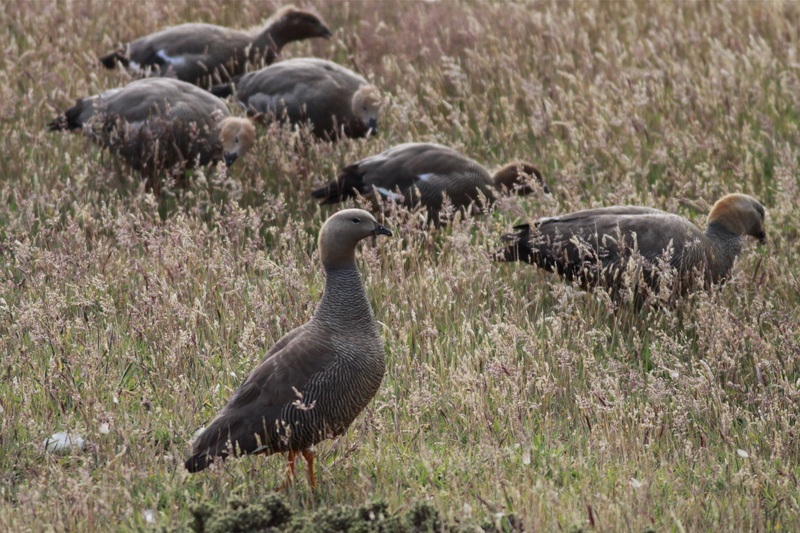 A species missed in Patagonia in 2006, Ruddy-headed Goose. 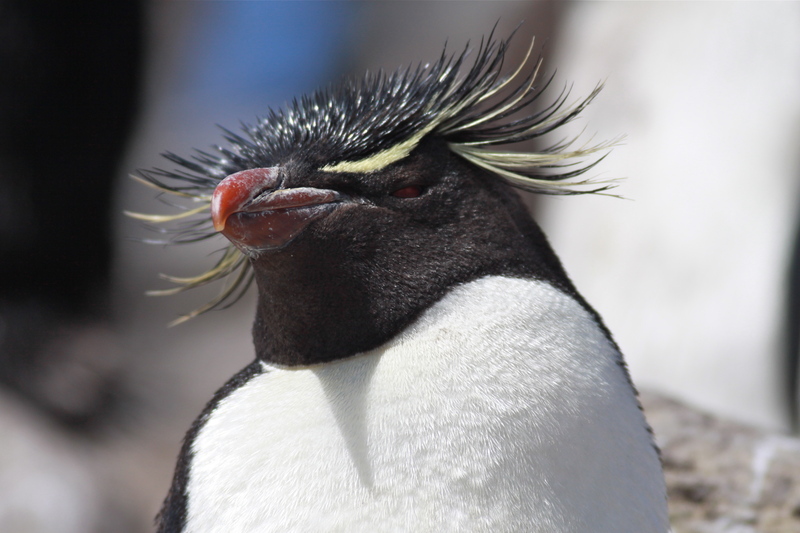 Having been introduce to a local landowner/wildlife tour operator I got a ‘private viewing’ of a colony of Rockhopper Penguins…..
And in amongst the 400 Rockhoppers, a pair of Macaroni, Falklands rarest breeding penguins! 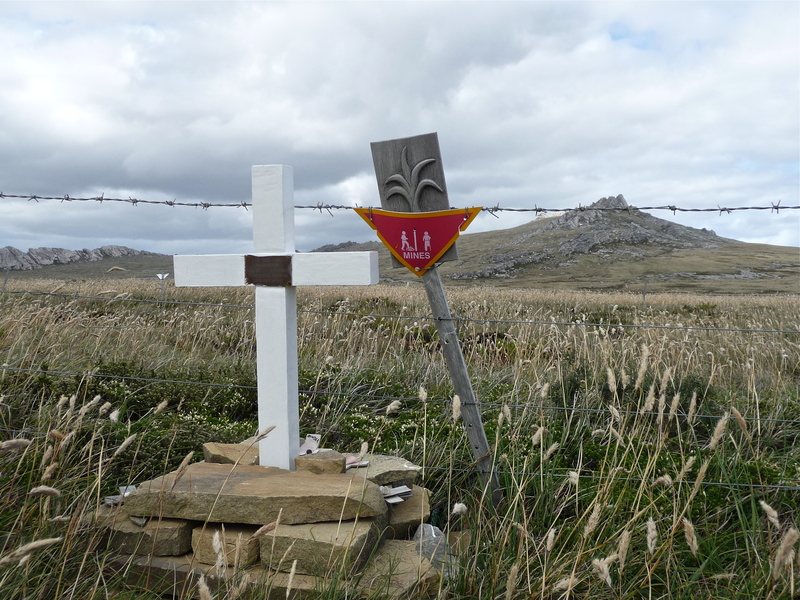 I couldn’t go to the Falklands and not visit some of the places which became household names during the conflict…. 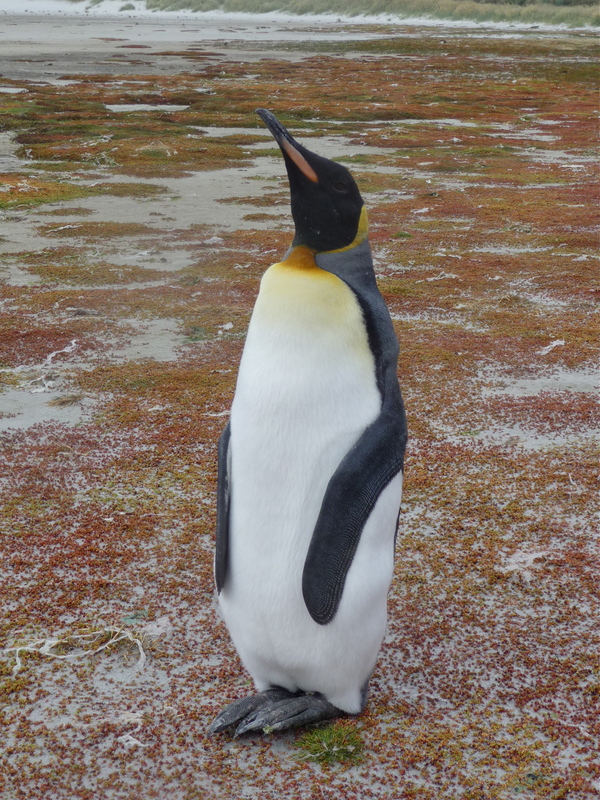 And finally the King of penguins……..
Fifty birds in five days wouldn’t normally command much attention but the unique nature of the Falklands, the quality of the land/seascapes and the proximity of the Antarctic makes the birding a rare and intimate experience.